After analyzing our May data, which now covers more than 30,000 URLs, we can confidently say that the month of May was uneventful. Few major websites were blocked or unblocked. Perhaps this lack of activity was related to leadership change in China (and not just at the very top - see Rumors say China's chief internet censor replaced. While the Great Firewall didn't change much, Google and Sina, in very different ways, both took important steps in trying to deal with the pervasive censorship. "We have observed that searching for certain keywords on Google from within mainland China will often lead to a temporary service disruption." Google Support, May 31, 2012. 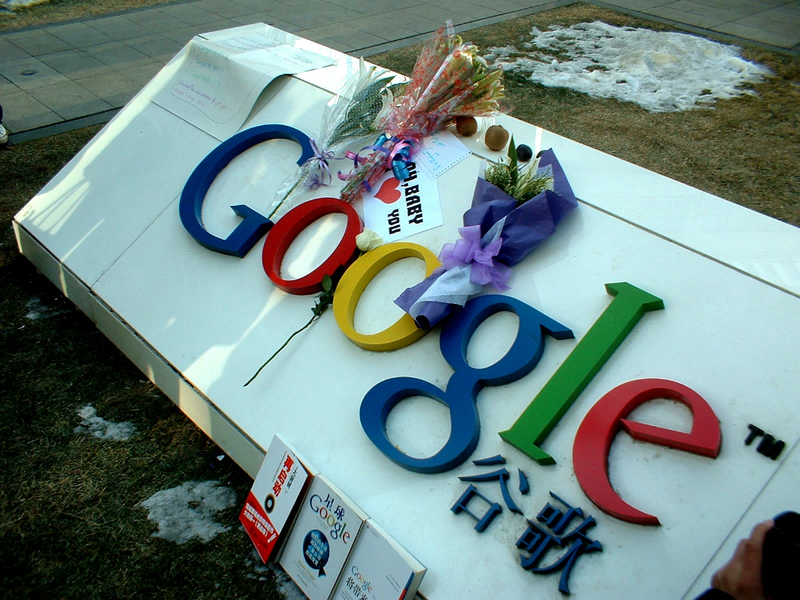 Starting on May 31, Google displayed a warning message to users from China if they enter any of the many keywords blocked by the Great Firewall. Users could choose to continue the search which would most likely result in the connection being reset for a minute or so. Or they had the possibility to edit the search query and find another, non-blocked, way of searching for the same thing. For the 16.7% of Chinese web users that use Google, the immediate effects of this was that the censorship became more transparent. To make it even more transparent, Google could choose to publish the list of blocked keywords. Meanwhile, we've reverse-engineered the full list. You can also browse our own database of keywords blocked on Google. Another effect was that the user experience improved. Since a reset connection means that you can't use the service at all for about a minute, a warning message is much more convenient. Furthermore, the suggestion function that offers autocompletion of common searches worked better. Try typing "tiananm", for example. The fact that this functionality was rolled out, and not just on Google Hong Kong but actually any Google search engine that is accessed from China, shows that Google is actively working on ways to get around censorship in China. For more on this exciting game, read Google Confronts the Great Firewall on Foreign Policy and the announcement on the Google Search Blog. https://www.googleusercontent.com was blocked in May which is the only major Great Firewall change during the month which involved Google. On May 29, Sina Weibo announced a new user-points system to regulate users (original, interpreted by ZDNetAsia). The concept is that each Weibo user will be given 80 points to start with. Any behaviour deemed inappropriate by censors will cause points to be deducted. If the user reaches 0 points, his or her account will be closed. Post a lot of tweets containing these keywords that are all blocked on Sina Weibo. For more efficiency, check out these keywords that are blocked not only on Weibo but also on Baidu and Google. Get some inspiration by checking out copies of thousands of Sina Weibo posts that have been deleted. In other Weibo news, weibo: 天安门 was briefly unblocked on May 21 but has otherwise been fully blocked before and after. weibo: 郭金龙 was unblocked during the second half of May and has stayed that way since. http://www.en.wikipedia.org/wiki/Boxer_Rebellion was apparently blocked throughout May but is now available again. en.wikipedia: Huang_Qi was unblocked during May. Chinese users can however access any of the many blocked Wikipedia articles by using the encrypted websites: https://zh.wikipedia.org and https://en.wikipedia.org remain unblocked. Showing average download speed of Alexa Top 500 websites not hosted in China, per month. Source. Showing Alexa Top 500 websites blocked 50% or more of the time, per month. Source. http://rapidshare.com was unblocked but is extremely slow. http://archive.org was unblocked and has stayed unblocked. http://www.hulu.com was briefly available on May 13 but has been blocked again since. http://www.weather.gov was unblocked and has stayed that way. May was an exciting month for us on GreatFire.org. We completed the Chinese version of our website, started reaching out on Sina Weibo and Google Plus, introduced a much easier way of looking up and comparing keywords (on Baidu, Google and Sina Weibo) and imported thousands of sensitive keywords from BlockedOnWeibo and China Digital Times. Stay tuned for more. If you want to collaborate with us please email greatfire@greatfire.org.